I loved these images from a Stylist shoot a few months ago where Blythe dolls were dressed up in mini versions of designer clothes, and then posed in front of real places. 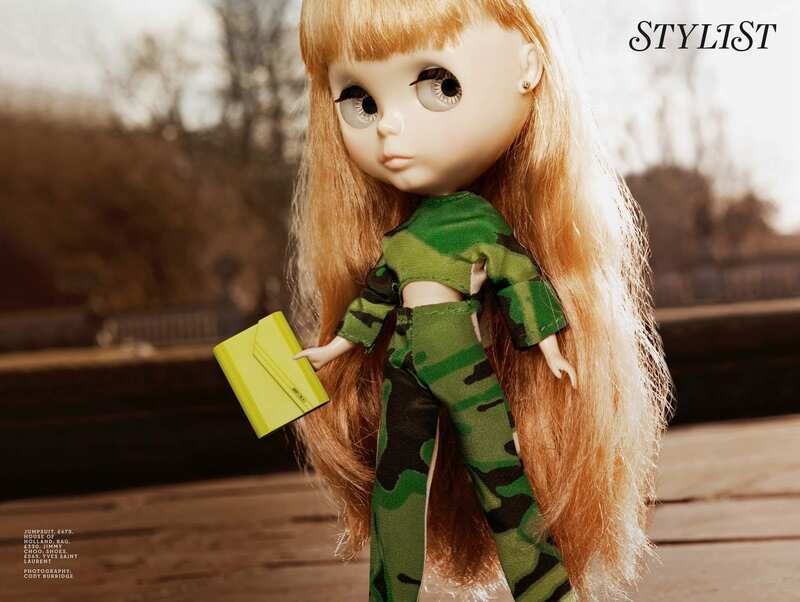 Its a bit depressing when dolls are better dressed than I am. Left: Dress: Maria Grachvogel, Bag: Prada, Shoes: Sergio Rossi. I love Blythe dolls, I’m fascinated by the world around the customisation of them as well. What do you think? Weird looking or gorgeous? They’re weird. The diet coke adverts are terrifying!